Èze is a small commune about four miles from Nice on the French Riveria. 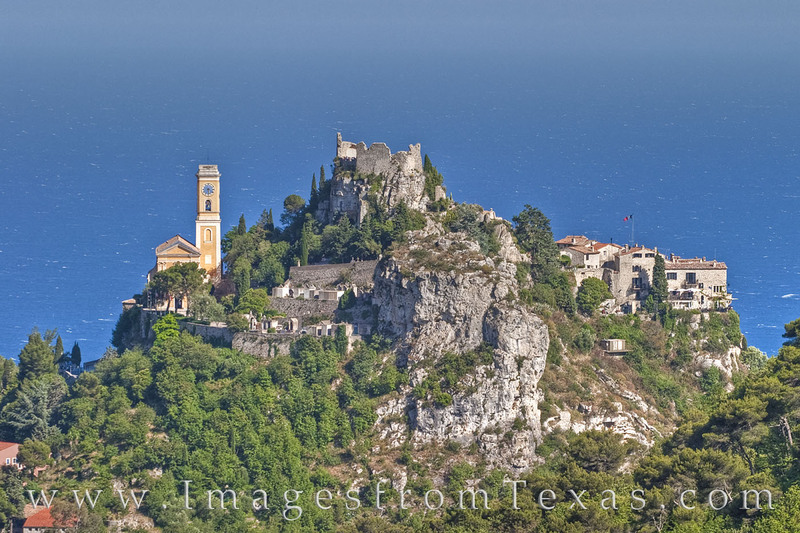 From Mount Bastide, beautiful views of the Mediterranean Sea as well as the surrounding coast can be enjoyed. Habitation of this area dates back to 2000 BC, and the shape of its bell turret shows it once belonged to the Republic of Genoa. In modern times, this village is supported by tourism, and has often been dubbed avillage-musée, a "museum village.” The famous Walt Disney also spent a lot of time in this ancient hilltop town.